One of the first places where early LED displays were fully exploited was in the manufacture of digital wristwatches. Although 'jump hour' mechanical digital watches were already in wide use by the time LED's were first made available, the invention of the light emitting diode allowed for the creation of the first completely solid state watches. This unidentified Litronix LED display is typical of the sort of display that would have been used in such a watch. 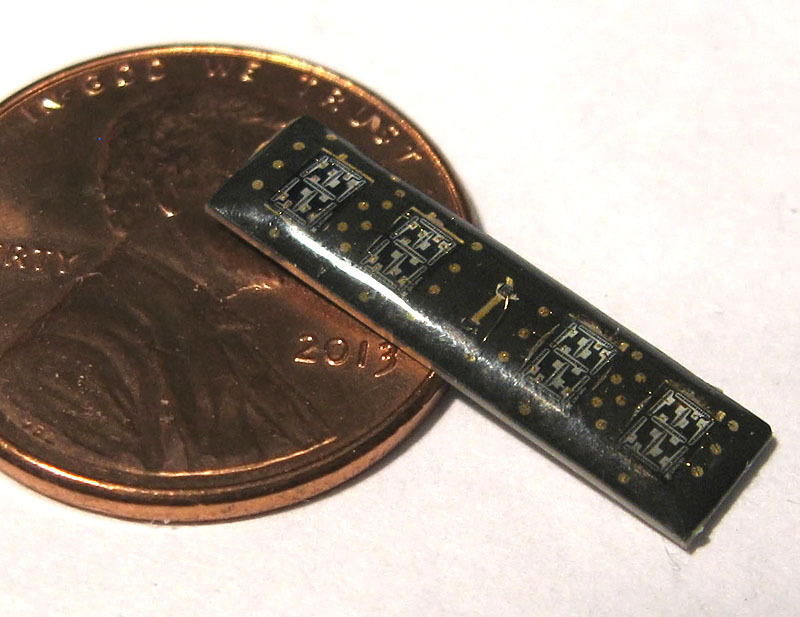 Size matters in something that has to fit on a human wrist, and this LED module goes beyond mere smallness… it is so tiny it could practically be hidden inside a traditional LED 7 segment display with room to spare. 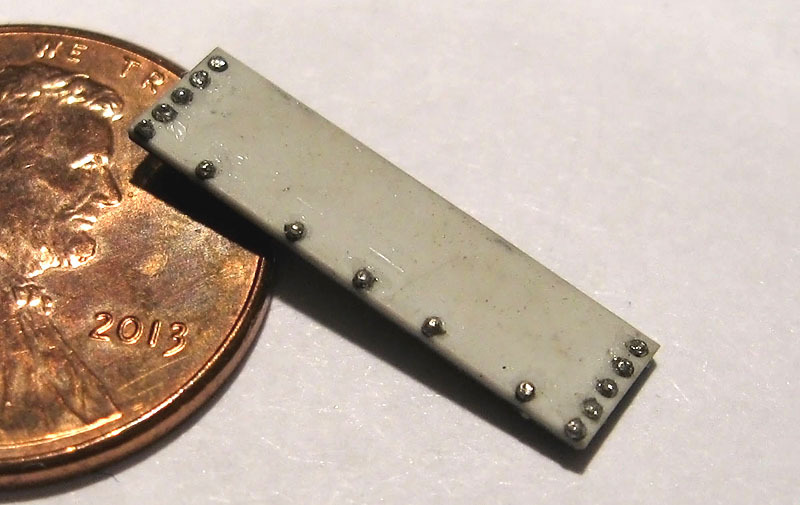 Each single die digit is only 3mm high, and the entire display face is 19mm by 5mm across. 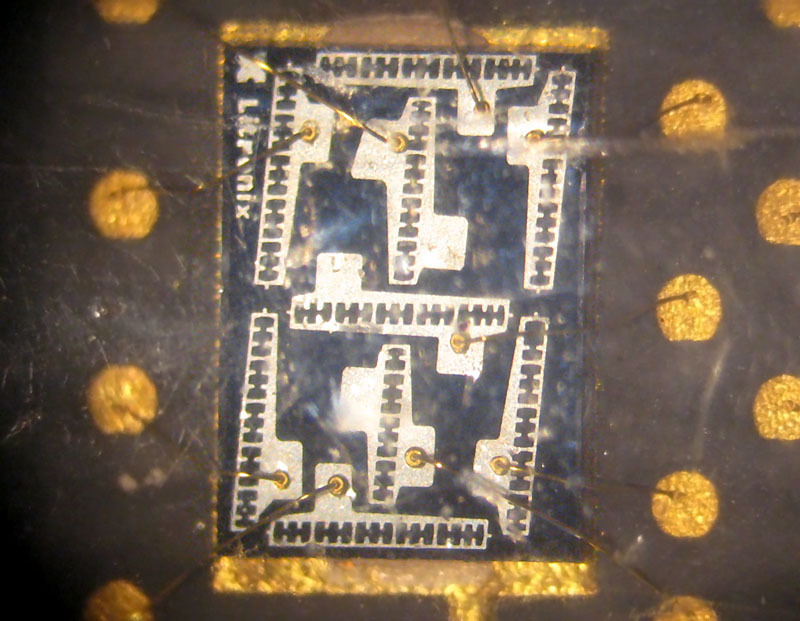 This small area leaves no room for traditional pins; the display makes use of a tiny ball grid array similar to the type used on many modern graphics card chips. Needless to say, these parts were not intended to be replaced by the home builder. 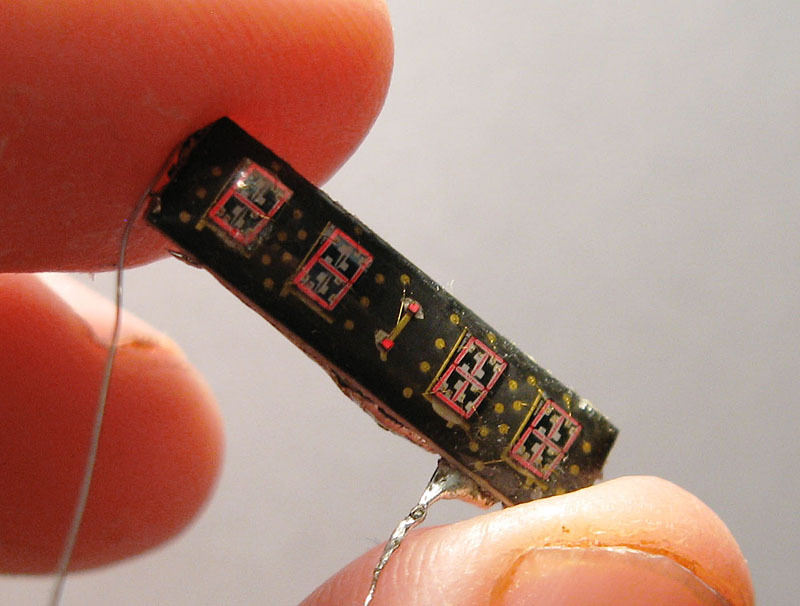 This tiny LED display was intended for use in solid state watches. 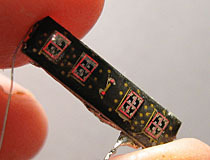 Digits composed of single dies allow a compact LED display to be made with fewer individual bond wires. This display uses a ball bond system for connection to the outside world. 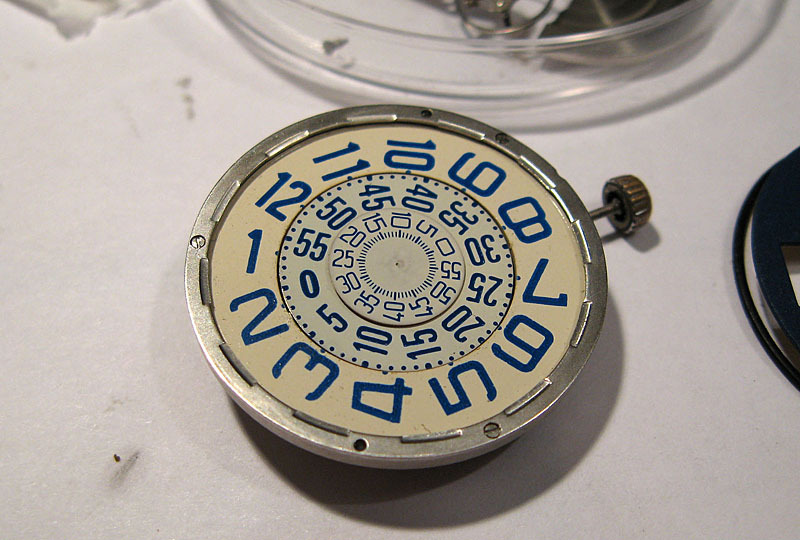 Prior to the invention of LEDs, mechanical wristwatches were made using jump hour dials to provide a digital readout. Numbers were printed on wheels for each hand, and a slit in the dial would prevent more than a single line of the display from being seen at a time.